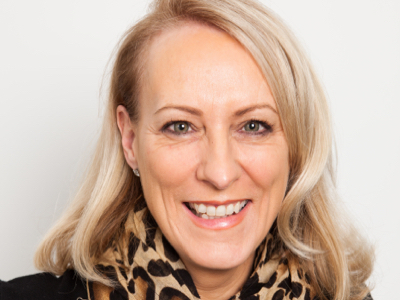 Frances is the CEO and co-founder of Astus Group, the UK’s biggest media barter company. She is a highly successful entrepreneur (and working mother) who built her company from scratch into a business with annual billings in excess of £200m (2015). Media barter is a business process that has emerged over the last 20 years to help advertisers offset the enormous costs of their media by allowing them to use their goods and services to part pay for their media spend. The media barter industry in the UK is worth around £400m and is growing. 13 years ago Frances founded Astus with business partner Paul Jackson. They believed media barter could work in the UK if approached differently, and introduced a new, more ethical business model, which focused on delivery first. As a result Astus now has an estimated market share in excess of 45%. Not at all. When I left school at 16 I didn’t even know what media barter was. I explored various other sectors before joining billboard company More O’Ferrall. From there I moved to outdoor specialist Harrison Salison (now Posterscope). I worked hard and proved I was a capable account director to media figureheads including Posterscope president Annie Rickard and Walker Media joint-MD Christine Walker. After several years working for a US barter firm with UK offices, I launched Astus with Paul Jackson, and the rest is history. Several! Having left school at 16 I had the odds stacked against me from the start, but through hard work, persistence and ambition I worked my way up to where I am today. I launched Astus at a time when media barter had an awful reputation. The old model meant advertisers were often left out of pocket, and therefore out of trust for the process. We had to start from scratch, networking like crazy to try to convince advertisers that our new model could be trusted. Our focus on accountability, transparency, integrity and delivery on promises as central values means that we now boast a level of repeat deals of over 85% – something I’m very proud of! Our new business model was so successful that it was quickly adapted by the rest of the media barter industry. Rival companies started trying to take credit for our process, so we started placing articles in business press, using my headshot and by-line. I hated the idea at first, and although PR-ing myself will probably never come naturally, it’s been essential for our business to not only grow but retain our title as the company that brought honesty and transparency to media barter. If you’re thinking about moving into a leadership position or starting your own business then first things first – ask yourself if you really want this. In general, I think leaders lead regardless of whether they have the title or not so if you’re not sure then it might not be the right move for you. Launching a company and leading a team demands tenacity, self-belief, energy and sacrifice. It’s not for everyone and it’s OK to admit that. Personality – 100%. At the beginning of launching Astus we got so hung up on needing to fill particular roles that we ended up hiring a couple of people who we didn’t really know. Their personalities clashed, which meant at a time when we needed to be focussed on chasing down business we were instead distracted by these departures. I don’t have a boss per se, I’m accountable to the whole company. However, if I did have a boss I would manage upwards, much like I manage downwards. Plenty of frank and honest communication is crucial. When I wake up I answer emails and calls from Australia and China – we launched in China this year so the morning is always very busy. I walk to the station, read the newspaper on my iPad on the train, and then walk from Victoria to the office. Repeat in reverse for the end of day and add the occasional glass of wine! Network like mad. I can’t stress this enough. Getting out there and meeting people, even internally, is so important, but you also need to be able to contribute interesting thoughts and ideas. Make sure you know your industry inside out by reading any and every relevant publication. And of course, make sure you do a great job so you have solid results to talk about – although only when appropriate. I have never been formally coached, however there are two women who supported my development and whom I’d regard as mentors: Annie Rickard, chief executive of outdoor specialist Posterscope and Christine Walker, former chief executive of Zenith Media and latterly joint MD of Walker Media. Annie hired me to work at outdoor specialist Harrison Salison which later became Posterscope. Christine and I worked together on the board of out of home specialists Meridian Outdoor, a joint venture between Posterscope (Carat) and Zenith. Annie and Christine taught me invaluable business lessons throughout my career, such as preparation is key, always deliver on promises, give people you trust a chance, lead by example, and keep calm and carry on! Although I wasn’t coached through a formal scheme, I am a big fan of initiatives such as US-based Million Women Mentors and the UK’s WISE initiative, which both aim to push female talent in STEM sectors from classroom to boardroom. Do you think networking is important and if so, what 3 tips would you give to a newbie networker? Who knows! Plenty of fun I hope. Astus Group is the UK’s biggest media barter company. It was launched in 2003 with the aim of pioneering a new ethical approach to media barter in the UK which focussed on delivery first and on positioning barter as an innovative business process involving first line stock rather than distressed inventory. Astus’ approach has transformed perceptions of media barter in the UK, which is now seen as smart business practice by companies from SMEs to large corporates.